Since 2008, recognition of the PHAT workout has increased. The reason? The amazing strength and muscle gains this grueling, but highly-effective system delivers within such a short period of time. In fact, a PHAT routine may be one the best 5 day split programs available for the results it delivers. PHAT Definition: What Does it Mean? PHAT stands for Power Hypertrophy Adaptive Training. The program is adaptable, so there are a number of different PHAT variations. If you want to get stronger and build muscle size in one of the most efficient—and strenuous—workout regimens, PHAT is for you. It is not for the faint of heart. By focusing on specific movements and training each muscle group twice each week, powerlifters, bodybuilders, and powerbuilders who commit to the power and hypertrophy PHAT program see amazing results. Layne Norton originally created his PHAT variation as a method for increasing his leg size when he found it lagging behind other muscle groups. Like many others before, he’d been warned not to ‘over train’ and was told that a bodybuilder could avoid squats and deadlifts. So he did… at first. Of course, his training results were sub-par, especially in his legs, which left him frustrated and looking for a solution. A friend convinced him to merge a hypertrophy ‘pump’ work with heavy lifting centered around the powerlifts, which included the core deadlifts, squats and presses. Norton thought that made sense, namely because he’d never seen a powerlifter with chicken legs. So, he began working out every muscle group twice a week—something that most programs say bodybuilders shouldn’t do—and the results in four months were better than he’d realized in four years. His leg size went from a starting point of 21 inches to 24 inches…an insane increase for the short amount of time. After performing PHAT for a while, Norton ended up with 28 inch thighs, and his back was bigger than ever. He won two national titles in powerlifting and a Silver medal at IPF Worlds. He set (what was then) a Squat record of 668 lbs in the 205lb class and was the winner of his class at the 2010 IFPA International. Before diving into the PHAT workout, it’s worth mentioning Layne Norton’s PH3 program. After developing the basic PHAT program from his twice-per-week training plan, Norton created PH3 (named after the “big three” lifts that form the base for the system). It is designed for advanced liters and centers around building muscle and triggering overcompensation and fatigue by cycling through accumulation, transition, intensity. The volume of PH3 is intense, so it’s crucial for lifters to pay attention to certain warning signs when performing this, or the regular PHAT workout. If you notice any of these symptoms while performing the PHAT or PH3 workout, schedule a deload week immediately. You may even need a complete week of rest so that your body can recover. Your body is giving you signs it needs a break, so listen! But don’t worry, once you come back to training your minimum effective volume will reset and you will progress even faster than before. If you push past these warning signs your chance of injury will skyrocket and your progress will come to a halt as your body becomes unable to recover (which is when you’re actually making gains—not when you’re lifting and breaking down your muscles). PHAT Meaning and Purpose: Why Should You Use It? As explained, PHAT simply stands for power-hypertrophy-adaptive-training. It’s a non-linear periodization training technique designed to deliver results quickly, using progression and scientific principles that build strength and muscle mass. For this reason, it is not for beginners who are much more suited to a linear progression routine like the Starting Strength routine or Ice Cream Fitness. 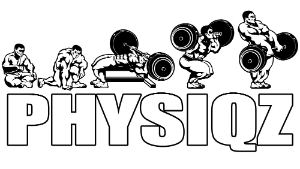 The powerlifting-bodybuilding hybrid program focuses on power training during the first part of the week, hypertrophy during the second part, and works all muscles groups twice each week. Hypertrophy is the scientific word for the process that increases the size of your muscle cells, and by dedicating three days each week to the support of these anabolic changes, you are able to accelerate your results dramatically. The power part of the training program focuses on compound exercises with challenging weights for your upper and lower body. For the hypertrophy aspect of the program, your focus is on volume: more sets and higher numbers of reps. On these days, going too heavy and failing lifts is a big no-no. You should be able to complete all repetitions and sets with proper form, getting close to failure but not actually failing—otherwise the weight is too heavy and you’re completely negating this part of the program. This is to build volume that will lead to muscle growth—not strength. That’s what the power portion of the plan is designed for. The program allows you to perform additional exercises, and auxiliary work for smaller body parts like your calves, arms, hamstrings. Although deadlifting and squats will hit the hamstrings pretty well, ab work is completely absent, so you’ll need to add it in. One of the biggest mistakes is not doing direct ab work—don’t do it! It can be a good idea to include ab exercises after your initial warm up (before it’s completed) or right before you begin your cool down (after the main workout is done). Do what works best for you but just don’t skip it. Also, you may want to skip an auxiliary exercise or two (on one or more days) for the first few weeks as you build up your work capacity. “Leaving some in the tank” is never a bad idea and will ensure you are recovering optimally—a cornerstone of making progress quickly. PHAT Workout Routine: How Is It Broken Down? As explained above, PHAT operates by splitting the workout week into two parts, one part dedicated to power and the other for hypertrophy. Before you jump in, there are a few things to keep in mind. Your goal should be to stay in the 3-5 rep range, with 3-5 sets for compound exercises. Don’t do more than one power movement in the same exercise. For example, don’t do squats and front squats on the same day. On the excel sheet, the power exercises are marked. Make sure to rest in between sets for as long as necessary. Some people will argue not to go past two minutes to ensure that the blood stays in the muscles during the hypertrophy portion of the program, but Norton argues that even a 5-6 minute rest is fine for the power days. Save the short rest times for the hypertrophy days. Furthermore, research has shown that short rest times between sets do not encourage hypertrophy at all. In fact, the opposite is true with studies showing longer rest times lead to greater increases in strength and hypertrophy. The goal on power days is to use challenging weights, but never to reach failure. The speed part of each day should be explosive! This will engage fast-twitch muscle fibers to maximize all-around muscular development. Remember to use a low percentage for the speed reps. A general rule of thumb is 60-70 percent of the weight you lifted on the power day exercise. For example, if you used 200 lbs for your bent over rows on day 1, ratchet it down to between 120-140 lbs on hypertrophy day 4. The PHAT spreadsheet should calculate the reduced amount, but it’s flexible. If you feel like you can do a higher percent, just make sure you can actually move the weight fast and mark it on the template. PHAT is not a recommended powerlifting program for beginners to start with, although some people falsely claim that it’s fine for anyone to try. This workout is physically demanding and involves complicated periodization that isn’t needed or effective for lifters just starting out. Beginners would be wise to use a novice routine and should even progress to a more intermediate program like Madcow 5×5 workout, Wendler 531 Workout, or nSuns 531 before trying PHAT. There are many more suitable routines that can help you build proper form and get you familiar with compound lifts and basic progression techniques before tackling a routine with so much volume and intensity. However, if you are a beginner who absolutely refuses to try anything but PHAT, prepare for sub-optimal results. The plan is progressive, so using less weight will still produce results and you won’t risk serious injury. The following template outlines the basic overview of the PHAT workout. Day 7: Off—Take a break! Note that it is a 5-day workout routine. If you are looking for something even more challenging, try the 6-day workout routine but know that it is only for seriously advanced lifters who thoroughly understand how to utilize RPE training effectively (and having a velocity based training device definitely helps so much as well). Each day includes either a power or hypertrophy focus, in addition to auxiliary, accessory, extension, pulling, pressing, calf, shoulder, and curling movements. The following breakdown of exercises, reps, and sets can get you started. Before you dive in, it’s important to note that you should always perform your warm up before these exercises, and don’t forget your cool down and stretches, which are extremely important! Research has demonstrated that stretching helps generate more power and stimulate increased hypertrophy, so disregarding them doesn’t make much sense—at all. Low impact cardio is a great method for both warming up and cooling down, but on upper body days, add in a few push-ups or another light exercise that will get the blood pumping to your arms, shoulders, and torso. What’s the point of a Hypertrophy Workout included in the PHAT Training Plan? Like other 4 day upper lower splits (essentially “double” 2 day split workouts), PHAT is a hypertrophy training program designed in a precise way to encourage maximum muscle development while taking advantage of strength gains that also lead to more muscle. While recent studies have shown that training frequency does not matter when it comes to making progress, hitting each muscle group twice per week provides a much more effective way to reach higher levels of volume on each muscle group—which does lead to more muscle and strength gains. It is recommended that you use PHAT in phases. For example, do PHAT for a set number of weeks (including the deload weeks), and then use another method before returning to the PHAT system. Twelve weeks is a good place to start, but you are never limited in this program. If you want to follow it for years like Norton and are still making good progress (which is what ultimately matters), do it! On power days, place the emphasis on heavy iron and explosive lifts you can complete without failing—one or two reps away from failing is ideal. Norton designed his PHAT routine to have very little fails, especially during the first three weeks of training. Failing means that your body is physically and neurologically exhausted, and frequent fails are a clear sign you need to take a deload week. Furthermore, if you are pushing your body to the absolute max each and every workout, you simply can’t recover. And when you can’t recover, you can’t progress. It’s not about being lazy or not pushing yourself, it’s about training smart in a way that will lead to the most results. Studies show that training for failure more than six weeks in a row can actually decrease strength and performance, and it can have a negative impact on the volume you can handle—reducing your body’s capacity for hypertrophic gain. It couldn’t be said enough: “leave some in the tank” on your lifts and you will progress so much faster and efficiently. Norton advises that it’s fine to take a few sets all the way to failure, once you’ve adapted to the intensity of the program, but the fails should periodized to avoid the negative impact. In other words, you should purposefully plan going to failure in the last week of the program during the overload portion. Hypertrophy weeks are all about volume and flooding your muscles with anabolic happiness. The volume is high, but the gains speak for themselves. Since this workout program is not for the faint hearted, plan on incorporating a deload week about every 3-4 weeks. That will ensure that your hard work remains productive. Depending on your stamina level, once you have completed two weeks of the PHAT workout, you may be ready for an overload week, which you should then follow with the deload week. Strength-focused progressive overload increases the overall resistance on the muscle, without increasing the total number of reps.
For example, on the first day of the first week, your bent over row is 3-5 reps for 3 sets. That’s a total of 15 repetitions at the maximum. After getting comfortable with this number of reps, in the overload week, you can change it up. Instead of 3 sets, do 5 sets with 3 reps each. Remember: Only use this method for progressive overload weeks. Although you won’t be adding reps, this builds strength. As soon as this week is over, go back to the regular schedule. There are no set standards for increasing weight in a PHAT workout, but you better believe that it’s hard enough without worrying about how much weight to add to the next week. However, if you’ve been hitting all your lifts without any struggle, have checked that your form is perfect, and want to continue with PHAT for another few months or more, you can gradually increase the weight. After performing a deload week plus one more regular week, choose a weight increase that you know you can handle. You are the best judge of how much you can lift, but don’t let your ego get in the way. If you’ve been blasting through all the exercises without coming near to failure, pick a percentage that will build the weight slowly. A good place to start is an increase of 1-3 percent. If you still have no problem hitting lifts after an increase, perform an overload week and then go back to the regular workout (with the five percent you added in the first increase), to see if you still feel the need to increase the weight. You can download a Layne Norton PHAT excel sheet, or use the link below, and then enter the weight you want to use for each lift. It will calculate your deload week, depending on the percentage you choose, and you can reenter whatever 5 rep maxes you like for increasing the weight. Note: Training for failure won’t get you the results you want or deserve, but training for fatigue (near failure) will. Make sure you are choosing weights during the regular workout that don’t push you to failure, but are still challenging. PHUL stands for Power Hypertrophy Upper Lower, and is very like PHAT in its design and the intended results. Each workout will develop both strength and size, but there are a few differences besides just the names. PHUL was created by Brandon Campbell, a noted powerlifter, professional trainer, and YouTube celebrity. PHUL is a four-day split workout, meaning that you work out for four days and rest for three instead of the 5-days-on and 2-days-off structure in PHAT. Both routines divide the emphasis on the upper and lower body, but PHUL gives you a little more leeway with the way you want to schedule the days. In addition to having one less day of work, PHUL has a less number of reps than PHAT. In fact, when comparing the workouts in the Gyminutes App, PHAT accumulates over 47 percent more reps than PHUL in one week. This means that the volume in PHAT is definitely higher. And, as the weeks increase, so does the volume… exponentially. So, you would do the same number of reps in just six weeks of PHAT as you would accumulate doing 12 weeks of PHUL. What does this extra volume mean in real terms? More hypertrophy! With this, however, comes less of a focus in strength. However, it’s also important to remember that PHUL and PHAT utilize different exercises. So, just comparing reps doesn’t give you the full picture. Neither program is designed for beginners. These workout routines are intense and require a level of work capacity and technical ability that a beginner simply has not yet developed. Many beginners who attempt either program end up ditching it within a month. It’s just too strenuous. If you want to get started with a powerlifting program, use a novice routine with simple periodization instead. Both PHAT and PHUL deliver effective results in a full body workout bodybuilding system, but the results are slightly different. The one that’s best for you will depend on your specific goal. If you want to build strength, try PHUL first. PHAT is better for developing overall physique (muscle). Although PHAT will build muscle—no doubt about it—PHUL offers a slight edge because there is a higher focus on saving your recovery capacity for building strength. A deciding factor for some lifters is whether they have five (PHAT) or four (PHUL) days a week to devote to the routine. A deload is a planned portion of your training that makes recovery a priority. Typically, the time frame is one week, although you can add more if needed. Rather than being a complete rest (no exercise) you reduce the intensity and volume so that you muscles and nervous system can rejuvenate. More specifically, it resets your minimum adaptive volume so that you can progress towards you maximum adaptive volume again (if you don’t know what this means, you need to read about the 4 volume indicators ASAP). After a few weeks of PHAT might not be ready for a break, but your body will. As you build up fatigue, you’ll either start missing your lifts or simply won’t be progressing effectively. And physical symptoms of serious overtraining described earlier in the article should NEVER be ignored. During your deload week, you not only give your muscles time to grow, you help restore your body to an even stronger point, which improves and revitalizes performance. When you come back to your workout routine for mass, you will be stronger. Do not make the mistake of thinking you can ‘work through the pain.’ Ignoring your body can lead to serious injury. It is never smart to push through pain and symptoms of overtraining. In fact, it’s really stupid. Try using about 60-70 percent of your normal weight in a deload week. For example, if you bench 250 pounds, use approximately 162 pounds during a deload. It will feel very light, but will still provide the stimulus the muscles need while letting your body recover. Norton explains that he personally deloads every 6 to 12 weeks (as opposed to every 3-4). But, he suggests that the deload period should be 2-3 weeks in this case, not just a single week lifting at 60-70 percent of your normal weight. However you decide to structure it, just remember that this is a crucial aspect of the program if you want to see results and stay healthy. One of the best ways to learn about a new powerlifting or bodybuilding program is to read about the experiences of others who’ve already tried it. For understanding Layne Norton workouts, the social platform is a great place to gather extra info, learn about various modifications lifters have made to their personal method, or hear about results. One user, who is an advanced lifter with over six years of training, explained he performed the strict program for about 16 weeks before modifying it to suit his specific needs. Because, after making steady gains every 2-3 weeks, he needed more volume. He suggested following the program exactly, and keeping a good log book to take notes with, but then explained he added 12-15 sets (spread out among the exercises) more each day, instead of the normal 3-5. Another user, KrustyBunkers, explained that he “restructured the Back and Should Hypertrophy day to really exhaust all three shoulder heads, including supersets.” He added that the overhead press is a must have for him when responding to a user who has had trouble building that area. He continued, saying that he added front raises, side raises, upright dumbbell rows, and seated cable rows. He also said that although it wasn’t related to shoulders, he added shrugs to enhance the traps. Another user wrote that rather than adjusting the speed rep on hypertrophy days, he’d seen substantial results by keeping true to the system as is. Results are the point of any workout, and PHAT delivers them. Research shows that training with lower reps and higher weights builds strength effectively, and this is particularly true in the compound lifts: squats, presses, and deadlifts. PHAT utilizes that fact along with the results of hypertrophy in order to boost overall muscle mass. Plus, recent studies have also found that frequency, like hitting the same muscle at least twice a week, can lead to greater strength gains. But this is really only because of additional volume as explained earlier. As long as you remain committed to the program, it will provide more than enough growth and development. Many people ask what to do when they hit a plateau in the PHAT system. Norton recommends first changing the accessory exercises on the power days. That can typically make a big difference. Switching exercises in a controlled and methodic way is referred to as conjugate periodization and is seen in the Texas Training method. He also recommends checking out any places on the core lifts where you struggle. Form is one area that is often overlooked but can have a huge impact on your day-to-day performance and therefore results. For example, if there is any issue with your form on the deadlift—moving the bar off the floor or locking out—work on perfecting these areas first using platform pulls (deadlifting while standing on a 45-pound place) or rack pulls (bands and chains can also help with building lockout strength). With squats, certain techniques, like the box squat, good mornings, paused squats (a staple of the iconic 8 week program) and deep hacks can help with issues in the hole. For the box squat, Norton suggests you make sure to sit on the box and pause for second before continuing the movement. Norton recommends focusing on the triceps using close grip bench press, dips and skull crushers. Overhead dumbbell tricep extensions are also extremely effective. All of these exercises are included in the excel sheet. If you are weak at the bottom of the press, try adding a three-count-hold at the bottom before pressing back up. Performing dumbbell bench press can also help with this as you can pull your elbows lower (and thus get a larger stretch reflex) than when using a barbell. If you have been struggling to make progress with another powerlifting or bodybuilding program, PHAT may be the solution. This workout routine allows you to scientifically regulate your training process using a highly-effective, tried-and-true method. Don’t forget to take the recovery rest days and deload periods seriously. The first month of this program is extremely difficult, so make sure that you don’t overstress and risk injury because of an oversized ego or short-term focus. But if you stick with it, the gains from using the PHAT workout are insane.